Should student internet monitoring be in place? Why or why not? A great topic for students to write persuasively in language. 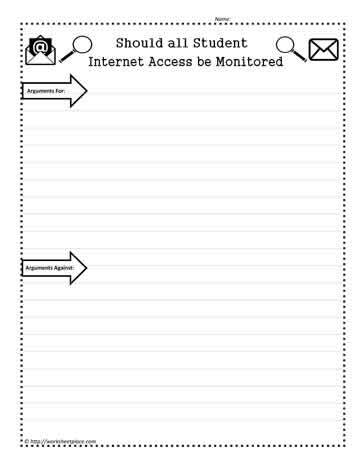 Social media worksheets to inspire critical thinking.